It’s been a long time coming but finally here is our new issue of ‘salon gossip’. So much has happened in so little time and we have so much to tell you about!!! Mary had her baby on Friday 17th July at 13.13pm and mum and baby Elizabeth are doing really well! We are all in love with Elizabeth, she is very beautiful and a welcomed addition to the team. Mary is still on maternity leave and we will be informing you of her return date as soon as possible but for now she is obviously enjoying time at home with her precious new arrival. We’ve had our own new arrivals in the salon too and have recently welcomed Callum aboard. He is our new stylist and he has fitted in so well, it feels as though he’s always been with us. Its nice to have a man about the place and he’s already proving to be quite a hit with our clients. We do have some sad news also, Natalie is leaving us to find a job closer to home and maybe even a change of career. We’ve loved having Natalie as part of the team and she will be sorely missed but we wish all the luck in the world and we are sure she will be back to visit us!!! 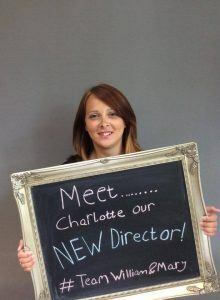 Luckily we have found Charlotte our new Director who will be replacing Natalie ensuring a smooth transition for all our clients. Charlotte joins us from a salon in Verwood and both Mary and Natalie have worked with her at William Guy so although she only started with us this week she feels like part of the team already. Charlotte is very experienced and we feel very privileged to have her as our new Director. Lacey is due to rejoin us in September following her amazing travels in America. We are looking forward to her return and hearing all about her adventure. We are proud to announce that Ashleigh recently completed a weeks long course at the Sassoon Academy in London in cutting so she is progressing at a very fast rate and will be cutting on the shop floor very soon. She is also now a full colour technician and we are very pleased with her growth and dedication to her work. Well done Ashleigh! Another announcement we have is that Tanya has been promoted to a Director also! We are so happy with her commitment and dedication to William and Mary and she is very deserving of her promotion. Well done Tanya!! 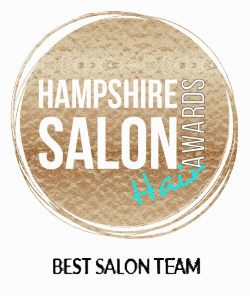 We have had in house training sessions with both Wella and Sebastian last month and we love learning all about the new seasons trends and styles so we can bring a bit of high fashion to Ashley Heath!!! Thats all the news we have for now but we will be writing another edition soon to keep you all up to date with the gossip as it happens!